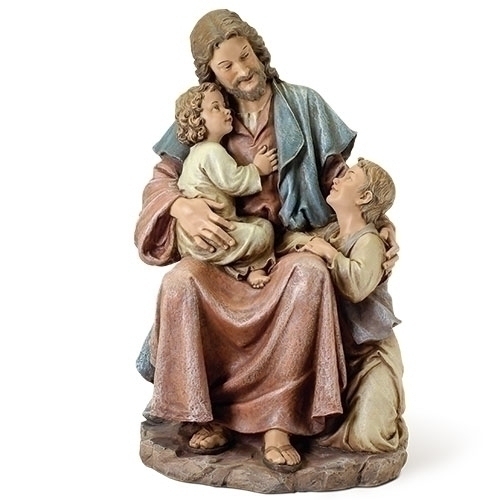 Home » Church Goods » Statues / Nativities » Jesus With Children Statue 29"
Jesus With Children Statue 29"
This beautiful rendering of Jesus with the children features rich, bold colors and is a vivid representation that reminds us of Our Lords words, "Let the little children come to me. For the kingdom belongs to such as these." Figures by Joseph's Studio. Sculpted with skill and great care in every detail. Hand painted, measure 29"H x 17"W x 17"L.